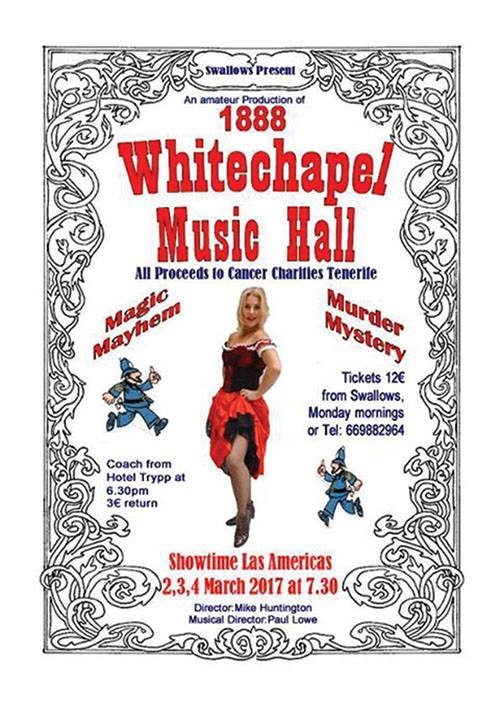 Come and watch this fabulous performance by a local amateur drama group, who are singing and acting their hearts out to raise money for cancer charities. The show must go on and so it will at Karting Las Americas tonight at 19.30. For tickets call 669 882 964.Tickets cost 12 Euros and there is a coach leaving from hotel Trypp for 3 Euros return.